Before MST3K there was The Texas 27 Film Vault! Balladeer’s Blog continues its examination of this neglected cult show from the 1980s. SERIAL: Since this was a Christmas episode our heroes from the fictional Film Vault Corps (“the few, the proud, the sarcastic”) took a break from their pre-movie serial of the moment and instead showed and mocked a pair of short items with a Yuletide air. 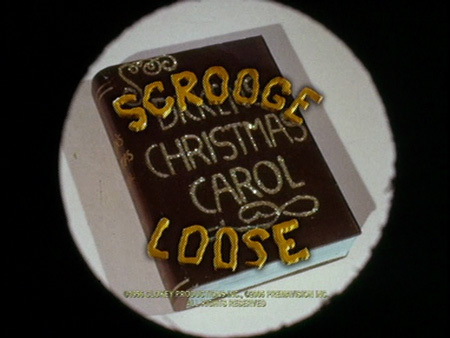 FIRST: Scrooge Loose, an 8 minute Gumby stop-motion animation treat from 1957. Gumby and his equine pal Pokey spot Ebenezer Scrooge escaping from the book A Christmas Carol and set off in pursuit, posing as Sherlock Holmes and Dr Watson just to make even less sense. Scrooge, who says “Humbug” as frequenly as the Hulk says “Hulk will smash” bulldozes some children’s toys and replaces other toys with rocks before Gumby/Sherlock lassoes him and bags him in a sack Santa mistakes for his bag of toys and rides off with. SECOND: The Frozen Planet, from the 1962-1964 cartoon series Space Angel. This science-fiction program featured the serialized adventures of Scott McCloud aka Space Angel, who with his male and female sidekicks Taurus and Crystal worked for the Earth Bureau of Investigation’s Interplanetary Space Force. 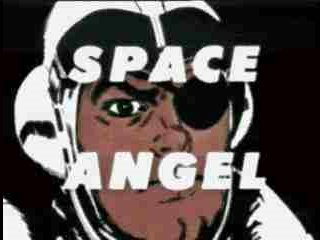 Space Angel featured VERY limited animation and depicted the characters speaking via the same creepy “synchro-vox” mouth bit used in Clutch Cargo cartoons. FILM VAULT LORE: This episode of The Texas 27 Film Vault featured Randy and Richard’s interview with Bob Eubanks, filmed earlier in the year along with other celebrity interviews at Ben Johnson’s ranch. The week after this Christmas episode T27FV showed the New Year’s Eve slasher film Terror Train (an episode previously reviewed by Balladeer’s Blog). Also, the Drones, that subterranean race of pint-sized mischief-makers that the Film Vault Corps formed an alliance with, wreaked more than their usual share of havoc during the Host Segments. The raucous behavior of those Gremlin-type creatures along with the Christmas setting were very appropriate given that Randy Clower stated that the Drones were first introduced as partial parodies of the figures from 1984’s Yuletide film Gremlins. THE MOVIE: No movie this time around, but a showing (and mocking) of The Cinammon Cinder Show Christmas Special from 1965, another cultural relic dredged up from the subterranean depths of the Film Vault beneath Dallas. 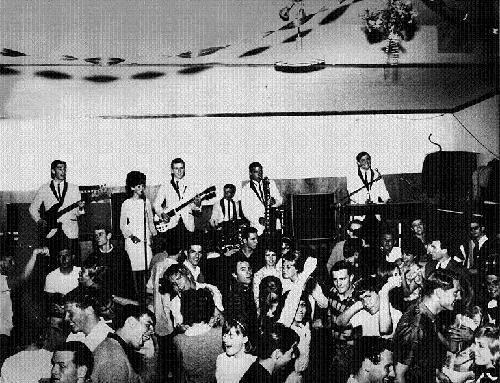 The Cinammon Cinder Show was a 60’s musical show similar to American Bandstand, Shindig and others. 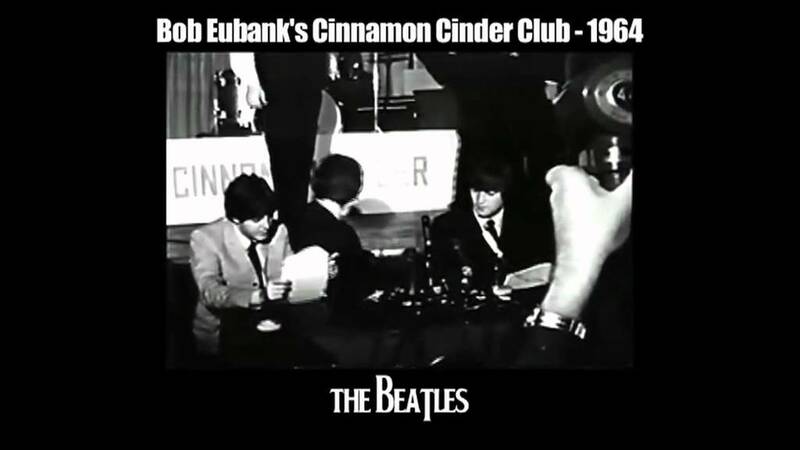 Bob Eubanks hosted the program which featured live acts as well as canned music and he also owned the Cinammon Cinder franchise of nightclubs throughout California. This Christmas special featured Sonny and Cher plus the band called The Royale Monarchs, consisting of Dan Jaramillo (aka Dan Anthony), George Haraskin, Ed Loewe, Roger Stafford and John Case Schaeffer II. Lots of material for wry commentary from Randy and Richard. So funny! This show must have been so much fun! omg what a coincidence that this show was so shortly before Mystery Science Theater 3000! The things they showed in this episode must have given them a lot of material to riff on! Fantastic archive of material here! That Gumby short sounds hilarious and I never heard of Space Angel before. The Christmas Special with Sonny and Cher must have been sheer cheddar! Ha! Thank you for all the kind words! I could swear I remember this show! The Drones especially. 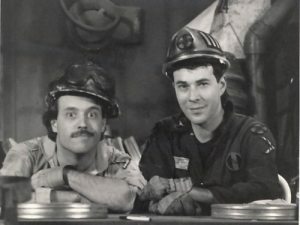 When I first saw the bots on MST3K I assumed the show was by the same people. Thanks for commenting! Feel free to email me via my FAQ page and send me any memories you have of The Texas 27 Film Vault. omg – Sonny and freeking Cher! Awesome look at this show. Sonny and Cher always make me laugh! You guys don’t know where I could get a copy of the Cinnamon Cinder Christmas Show do you? We’re looking for it for a tribute for someone who was on the show! Unfortunately I don’t. If not for this Texas 27 Film Vault episode I would never have even heard of the show, I’m afraid. Maybe other readers will have something for you. Good luck.